The Weight Gain: I had my oldest daughter when I was 16 and after that I gained a lot of weight. 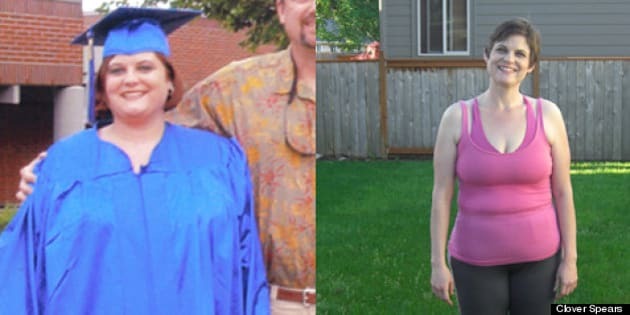 By the time I had my second daughter, I weighed 287 lbs. I also had a very stressful job as an administrator at that time. After losing that job and starting a childcare teaching position, I decided I needed to get my weight under control. I was tired and stressed out all the time. On top of this, my house was a mess because I had no energy after work to do anything. The Final Straw: My biggest motivation was watching a very dear friend, who was like a second mother to me, take her last breath. She died at the age of 62 from smoking and drinking. I decided that her death would not go in vain. I would learn something from it, and start to take care of myself so that I can be around for a good long time. The Plan Of Attack: At first it was very slow, I just small changes like cutting out soda and fast food. Then I bought some exercise DVDs and started working out at home. When I discovered how much fun Zumba classes were, my weight loss really stepped up. Next, I began taking more and more group exercise classes including: Tabata training, RIPPED and BellyFit. I tried to mix it up to maximize my weight loss. I also signed up for a free account at SparkPeople.com and it's been awesome. For me, being free was extremely important because I couldn't afford to pay for a service like it. All of their resources are great, but I especially loved the recipes. The Food Element: Before my weight loss journey began, I ate a lot of fast food and fried food. Many of my meals consisted of boxed dinners full of fat and sodium. I also carried a 12-pack of soda in the trunk of my car and drank all the time. These days I eat at least five servings of fruits and veggies a day and I don't drink soda at all. I don't even buy those boxed dinners anymore! I make as many homemade meals as possible. Whenever I go out to eat I plan ahead and check the menu online to plan what I am going to eat. I also drink a lot of water during the day. The Exercise Factor: I exercise six days a week. I love Zumba, power toning classes, step aerobics, RIPPED classes, and I add some videos in the mix too. My ultimate fitness goal was to have a flat stomach and be able to confidently wear a bathing suit. I wasn't sure how much weight I was going to lose, so I just kept going until my body felt right. The Current Day-To-Day: I have so much energy now, it’s crazy! I spend all day with a room full of two to three-year-olds, go to an intense workout class after work, then come home and clean and get ready for the next day. I work 40 hours a week plus most Saturdays I am an on-call nanny. I have two kids and a husband, so needless to say I am busy. My house is much cleaner and more organized and so is my life. I have found that it’s all about priorities; if it is important to you, you will find the time to do it. For example, I almost never watch TV because it's not important to me. However, I do pack my lunch and prepare for the next day every night instead, because maintaining a healthy diet and managing my time are important to me. Have a success story of your own? Send it to us at CanadaLiving@huffingtonpost.com and you could be featured on the site.